Looking for something fun to do during the dog days of summer? Look no further! Mist Harbor's Eastern Harbor is celebrating their Grand Reopening in style! 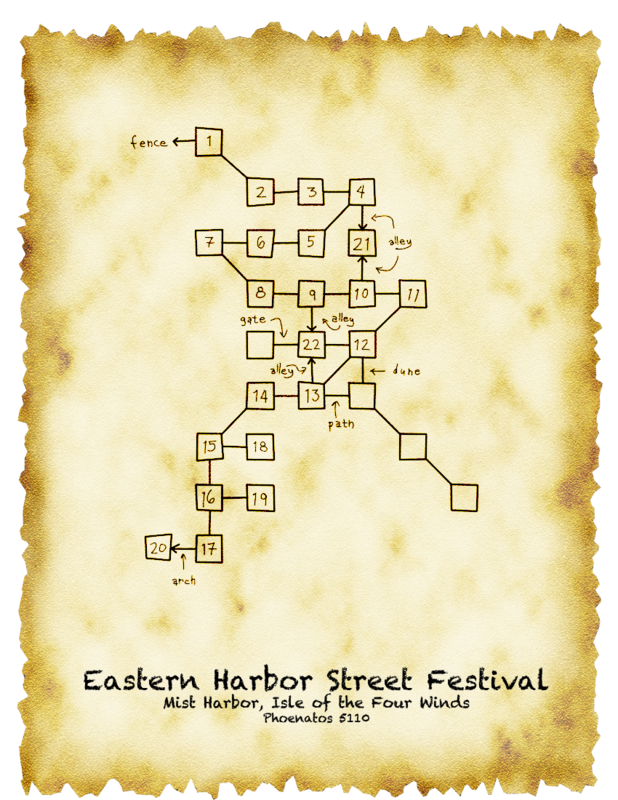 Games, raffles, contests, prizes, and auctions are planned for the two-week festival that is to take place along the streets of the renovated Eastern Harbor. Join merchants and citizens alike as they take part in tours of the islands, scavenging for treasures, and shopping in the various tents provided by the merchant class. Looking for something specific to do during the weeks of the festival but don't know what is taking place or where? Have no fear! The FESTIVAL verb has been updated and is chock full of interesting events throughout the two weeks that the festival will run. Don't know your way around? We've solved that problem, too! 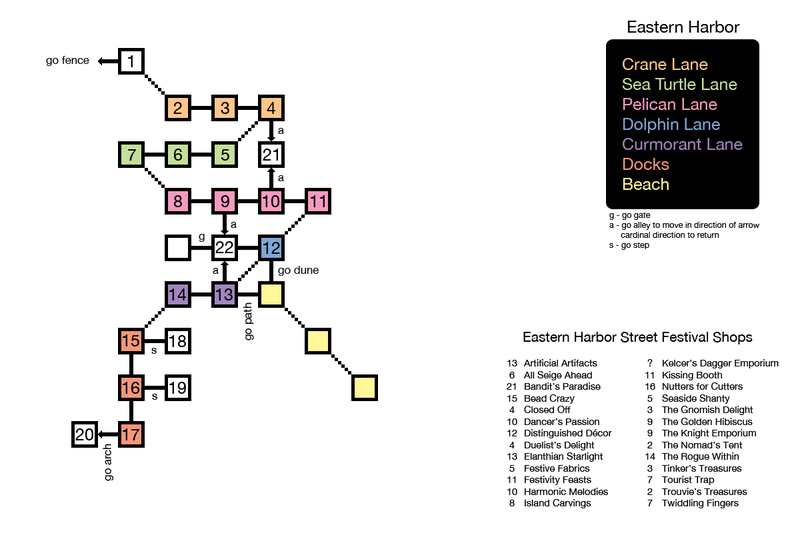 Take a look at the handy map we've provided for you and enjoy the last two weeks of summer!